The Royal Society for the Conservation of Nature is an independent national organization devoted to the conservation of Jordan's natural resources. RSCN was established in 1966 with His Majesty the late King Hussein as Honorary President. RSCN has the mission of protecting and managing the natural resources of Jordan, for it is responsible for protecting wildlife and wild places. Thus, it is one of the few national organizations in the Middle East with such a public service mandate. As a result of its pioneering conservation work, the RSCN has achieved international recognition and acclaim. Managing the nature resources of Jordan is done by setting up protected areas to safeguard the best wildlife and scenic areas as well as breeding endangered species to save them from extinction. In addition to enforcing governmental laws to protect wildlife, control illegal hunting and raise awareness in environmental issues through educational programs. Ultimately promoting the sustainable use of natural resources. In its short but rich history, RSCN has established many achievements. The foremost of which is establishing seven protected areas covering over 1200 square kilometers. These areas comprise of wild plants, animals and other natural resources, while including some of the finest natural landscapes in the country. 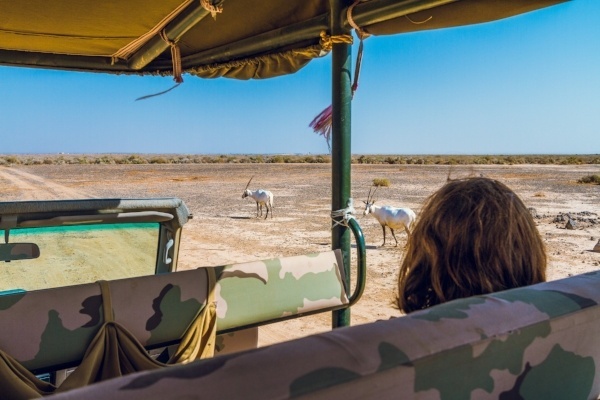 The Successful captive breeding of the magnificent endangered Arabian Oryx, gazelle and ibex and their re-introduction into the wilderness is considered a pioneering step of conservational activity in the region. Hence, controlling illegal hunting throughout the Kingdom to preserve these wondrous creatures. Setting up over 1000 Nature Conservation Clubs in schools raises children's awareness regarding environmental issues by making them practically involved in conservation activities and projects. The development of large-scale conservation programs designed to integrate environmental protection with the socio- economic development of local people is another task for RSCN's team. Setting up and efficiently managing a national network of protected areas to conserve sites representing Jordan’s ecosystems and habitats. Engaging in studies and research specialized in biodiversity, and maintaining a national database around biodiversity, in order to be used in the organization’s programs as a means of integrating nature protection into national plans. Enforcing hunting laws, specifically in protected areas and other areas of special biodiversity values. Implementing development initiatives targeting local communities living around protected areas. Developing a national environmental education program targeting local students who live around protected areas hoping to form a nucleus for future employees in protected areas. Providing training and capacity building programs for RSCN staff and other active national and regional organizations working in the field of nature conservation. Expanding in membership (including ‘Friends’), sponsorship and support programs to widen the public and political support base for RSCN programs. Wild Jordan Adventures (The brand name of the RSCN) offers eco-tourists an awe-inspiring variety of destinations to explore and action-packed activities to enjoy. Jordan’s nature reserves are the best way to discover the vastly different scenery and nature around Jordan. For adventurers, camping, safari, canyoning, hiking and cycling are some of the best ways to experience Jordan. Hiking: For those who want hiking adventures that offer incredible panoramic views, a few shots of adrenalin or a more leisurely experience, Jordan’s nature reserves offer hiking trails to suit all levels of fitness and experience and a huge diversity of landscapes from mountains, to deserts, forests and fields.  Walk one of our recommended day walks for a few hours or a day, which fit easily into any itinerary, or plan a multi-day hike across the stunning landscapes of Jordan’s nature reserves. Canyoneering: Canyoning is the perfect way for thrill seekers to experience the challenges and beauty of Jordan’s best and most spectacular canyons. Explore hidden gorges, rappel, jump and slide down water falls. Adventurers will hike, scramble, wade, abseil, climb and swim through the breathtaking sandstone canyons of Wadi Mujib. Oryx Safari: Go on the Oryx Safari at Shaumari Wildlife Reserve for a unique experience that is fun for the entire family. Shaumari Wildlife Reserve is home to the critically endangered Arabian Oryx and Persian Onager. The reserve also is home to desert gazelles, striped hyenas, jackals, wolves, foxes and wide array of wild animals. On the Oryx Safari Trail you will see these majestic creatures in their natural environment while learning interesting aspects of each animal’s behavior. Cycling: Cycling is a fun way to experience some of Jordan’s most beautiful sights. The cycling trails, which are currently offered year round at Azraq Wetland Reserve, take you on a variety of terrains. Although the trails are mainly flat, gentle routes with occasional short climbs, some varied terrain will also appeal to more active riders looking for a relaxed trip. Our cycling tours are a great choice for first timers, families with children, and cyclists with more experience, allowing visitors to enjoy the nature and wildlife around them, as well as the history and culture of the area. Camping: Camping is the perfect way to connect with and explore nature. RSCN’s campsites offer visitors an unforgettable experience of Jordan’s stunning scenery, nature and wildlife. Enjoy a relaxing stay at Dana Biosphere Reserve’s Rummana Campsite and be amazed at the spectacular views and wildlife close enough to reach out and touch. Cooking with Local Residents: Ajloun Forest Reserve: Learn about local Jordanian culture and cuisine and have hands on cooking experience with local families in Ajloun. Guests will enjoy learning how to cook and then sitting down to their delicious home-cooked traditional meal with their local hosts, a truly immersive cultural experience. Story Telling - Rummana Campsite: Bedouins have an ancient oral tradition of storytelling that exists to this day. At Rummana Campsite in Dana Biosphere Reserve, local Bedouins keep this tradition alive and entertain guests around the campfire with stories that allow a glimpse into Bedouin local culture and traditions. Druze Folk Dancing – Azraq Lodge: The Druze community played an important role in shaping the history of the Levant. The Druze number only around one million around the world and are a minority in the Levant; a small community of Druze live in Jordan. They are known for their eclectic and esoteric spirituality and close knit community. At Azraq Lodge, guests can enjoy traditional Druze entertainment including folk dancing, dabkeh and Druze men singing their traditional songs. Nature Cinema - Azraq Lodge: At Azraq Wetlands Reserve, guests can enjoy watching nature films and documentaries at the Nature Cinema, adding entertainment and education to their wildlife experience. 2.The economic benefit from the natural protected areas were distributed among eight of the Kingdom’s governorates and 17 counties and provinces. 3. Over 60 local women have been empowered through the workshops by providing them with employment, and are helping to alleviate poverty in areas that offer few other employment opportunities. These thriving handicraft enterprises are making conservation important to the lives of local communities by providing alternatives to hunting, overgrazing and a number of other threats to wildlife habitats in Jordan. The Royal Society for the Conservation of Nature (RSCN) has introduced eco-tourism projects at its nature reserves aimed at increasing profit and the number of tourists and beneficiaries at local communities. The projects generate 135 new job opportunities for local communities, increase the number of tourists by approximately 52,000 per year and generate JD266,388 in annual profit as of the third year of operation. The country’s 10 nature reserves are now economic hot spots and attractions for investments, and in addition to the society’s existing projects, local communities are starting their own income-generating ventures around nature reserves. The Arabian Oryxhistorically ranged throughout most of the Middle East. This large white antelope, with its long, pointed horns, is an icon of Arabia, the national animal of Jordan, and is thought to be the origin of the mythical unicorn. It became extinct in Jordan around the 1920s, as a result of the increased hunting for its meat, coat and horns. The increasing range and power of rifles compounded by the factor of motorized vehicles were the key to the extinction of the Oryx. The last known wild Arabian Oryx in the world was killed by hunters in Oman in 1972. 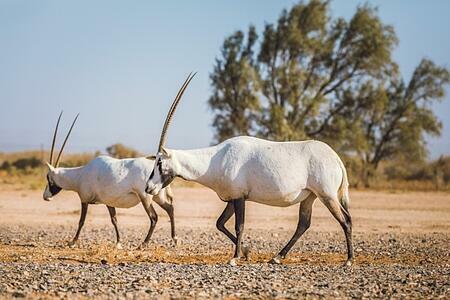 The Shaumari Wildlife Reserve was initially created as a breeding center aiming to breed and reintroduce the globally threatened and locally extinct wildlife and specifically the Arabian Oryx - Oryx leucoryx. In 1978, joined by international efforts, RSCN initiated the Arabian Oryx rescue operation after receiving 4 Oryx animals from the Phoenix Zoo, USA, into specially prepared breeding enclosures in Shaumari Reserve, in an attempt to return the Arabian Oryx to its native desert habitat. By 1983, this operation met its first success, after the release of 31 Arabian Oryx from captivity into their native habitats within the reserve. The number of Oryx has now increased to a phenomenal two hundred. Operation Oryx has been so successful that Jordan now supplies Oryx to other countries, which are conducting reintroduction programs. Before water pumping from Azraq to Amman dramatically increased in the 1980s, the oasis provided a sparkling blue jewel in the desert, attracting up to a million migrating birds at one time, as it marks one of the major bird migratory routes. At times, an upwards glance at the Azraq sky would find it teeming with masses of birds, blocking out the light of day. By 1993, the extraction of water was so great that no surface water remained and the oasis’s ecological value was virtually destroyed. With international support, RSCN began a rescue effort in 1994 and managed to restore a significant portion of the wetland, and aims to increase depleted water levels by 10 percent. So far, this target has not been achieved due to continued water pumping, lack of man power, and a lack of experience in wetland management. However, thanks to RSCN's efforts, many birds for which Azraq was once renowned for are coming back, and special boardwalks and bird hides have been constructed to enable visitors to observe and enjoy them.